Between my own personal chaotic goings-on and everything happening in the world, 2018 was a pretty crappy year for me. Still, I was surprised at how many films I managed to get in throughout the year. I somehow got to even more than last year, which is something I didn’t really think possible. Still, there are a few films with some real top-ten-potential that I didn’t get to see in time for the making of this list, so I do want to acknowledge that I was unable to catch Suspiria, Burning, or Shoplifters. Knowing my luck, I’ll see them and want to change this list right after it publishes! Let’s kick this list off with my numbers twenty through eleven for the year, or my rapid-fire honorable mentions: Revenge, Unsane, Support the Girls, Madeline’s Madeline, The Rider, The Old Man and the Gun, Leave No Trace, A Star is Born, Roma, and Blindspotting. These are all fantastic films in their own right, but in a phenomenal year for movies, they just missed my top ten. Steve McQueen’s first foray into genre filmmaking is still as serious and heavy as his more dramatic fare. This thriller has everything you could want from a good heist movie: deeply moving backstory for the women involved, great villain figures, twists you won’t see coming, and a socially aware core that isn’t afraid to plunge into the class and race issues that are intrinsically linked to its subject matter and location. Widows is an unmissable masterclass from one of our best working directors. Barry Jenkins’ Moonlight follow-up is a song missing its final chords. The focus stays less on the story details of a woman fighting for her lover’s freedom from a prison he doesn’t deserve to linger and more on the emotions that surround that battle. There is no resolution to be found in this tale, just a sobering ending that reminds you that, in reality, these stories don’t end in typically heartwarming ways. There’s still love and a truly overwhelming amount of empathy to be found here, but there’s no easy way out of the tragedy. But, that’s what makes it powerful. I mean, what can I even say about this that hasn’t been covered a million times already? The film’s a damn delight. Paddington is a very good bear that just wants his marmalade sandwiches, some time with his adopted family, and, you know, to reform the prison system. The surprisingly political shades are subtle enough to be effective without beating the audience over the head, and the rest of the movie’s so heartwarming that you’d quickly forget if it did. Paddington 2 is an instant classic in the family film genre and the kind of film that leaves younger generations like myself thinking “I can’t wait to show that to my kids”. Lynne Ramsay’s indescribable You Were Never Really Here is one of the most challenging films of the year in almost every imaginable way. From Joaquin Phoenix’s quiet, unbalanced performance to the unforgettable score by Jonny Greenwood to the haunting visuals that pair so perfectly with the disturbing plot, the film is a perfectly calculated slow-burning chemical reaction with a bit of an anti-climax that feels more distressing than if the story had culminated in on-screen violence. Ramsay is an incomparable filmmaker who absolutely nails this film from top to bottom. In a lot of ways, Incredibles 2 may be the quintessential Brad Bird film, wherein Bird tries to grapple with the many ideas and moral quandaries of the time, but guised in the trappings of a children’s film. Bird continues to flaunt his skills as one of our best action directors with the many set-pieces in this film, from the Underminer opening to the Elastigirl train chase to the Jack-Jack versus raccoon fight. However, the same film that contains a superbaby fighting a woodland creature also contains a scene where two women have a deeply feminist discussion about their roles as women who work closely with men, as well the morality of capitalism for some extra flavor. The film is a fantastic superhero adventure with a lot going on beneath the surface that’s worth tons of discussion and debate. First Man is an experiment in bouncing between extremes. Damien Chazelle kicks things off by proving yet again how great he is at opening a movie with one of the most intense scenes he’s ever put to film. (And that’s saying something coming from the guy who made Whiplash.) Then, he immediately brings the film down from a near fever pitch to something almost meditative as the film makes you ponder the social, physical, and mental stresses the space race put on Neil Armstrong. First Man is quietly stressful, hauntingly beautiful, and easily one of the most underrated films of the year. 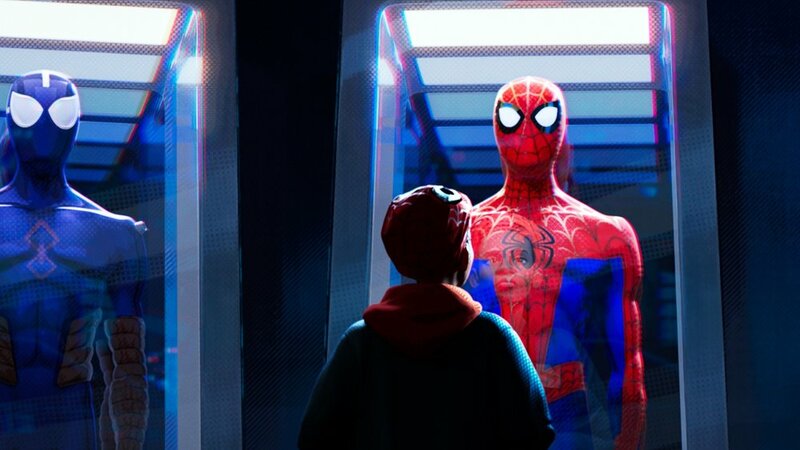 There is nothing out there that’s quite like Spider-Man: Into the Spider Verse. Taking unparalleled artistic risks at every imaginable turn, this film leaves behind all of our preconceived notions of what an animated film should look like and blazes a new trail into breathtaking new territory. Every decision regarding style, design, voice acting, backstory details, and any other piece of this incredible puzzle is chosen perfectly. The script is as funny and warm as the character of Spider-Man was always meant to be, but with the real stakes that makes the comic so compelling. This is the kind of movie that truly makes me feel like a kid again, and that’s a feeling I’m always grateful to have at the movies. 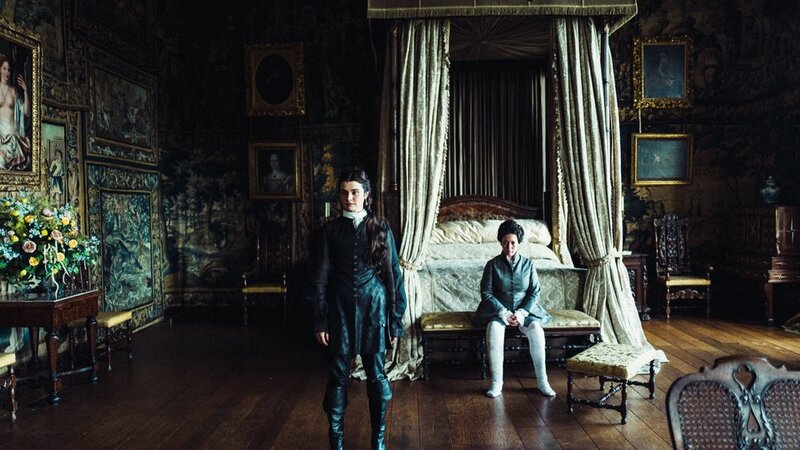 Yorgos Lanthimos made my honorable mentions last year with The Killing of a Sacred Deer, but this year, The Favourite was on a totally different level. Lanthimos’s biting humor is at full force here as the women competing for Queen Anne’s attention bicker and fight as viciously as they can. The film’s writing is as cold and detached as ever, but the performances given by the three lead women bring it to life in a really special way, as if it’s almost normal for people to speak in the strange lilted speech of the script. It’s a brilliant film and a fantastic theater experience if you’re with an audience that’s not just hip to Lanthimos’s style and old tricks, but eager to see how the gleefully sadistic antics will unfold this time. You know that feeling of dread that just lays under the surface all the time these days? The worry that immediately springs into your mind when you go outside to a seventy degree day at the very start of January and think to yourself “this can’t be right”? The fear of having children and leading them into an apocalyptic world? The nagging feeling of the futility of everything we’re doing because the world is slowly, but surely, falling apart beneath our feet? The constant concern that if there’s a God somewhere, They could never forgive us for the things we’ve done? That’s the focus of First Reformed, and the film shakes you down to your very core just as much as the feeling it’s based on. I’ve already written a great deal on this website about Bo Burnham’s directorial debut, but my preference for this film over all the other great movies this year just comes down to the raw emotions of it. Eighth Grade feels like rubbing salt on a wound that’s never closed. It hurts. Bad. This film forces you to relive one of the worst phases of your life and all the awful embarrassments that came with it, while confronting how much worse it is now that eighth graders are inundated with performative technology. Elsie Fisher gives an incredibly complex performance, both technically and emotionally, and an absolute masterclass in the first few minutes of the film. Burnham has made an incredibly powerful, confident debut that leaves me absolutely thrilled for whatever he’s got coming next.